Are you(r kids) ready to rock?! There is nothing like watching your child express themselves through music. It's such a great outlet and a hobby they can enjoy for the rest of their lives. I'm super excited to introduce a fantastic promotion where you can get a free week of music lessons from The School of Rock! The School of Rock is a music school with a number of locations across the U.S. that teaches kids from age 7-18. The best part is that there is no experience necessary, so you get to see your son or daughter blossom. They teach guitar, bass, vocals, keyboards, and drums. There is something for everyone! Click here to get your free week* of instruction (which consists of a one-on-on lesson and a Rock 101 group lesson), fill out the contact form and type SORBLOG/L.A.Mama in the comments section. Enjoy, and be sure to check them out on Facebook and Twitter! "Barbie: A Fashion Fairy Tale," takes place in Paris where Barbie is visiting her aunt who is a fabulous fashion designer. But she soon learns that the business is in trouble- she must help! With the help of new friends and a little fairy magic, a world of fashion and fantasy come to life! My daughter and her girlfriends loved this movie and have watched it at least a dozen times. Even I enjoyed the updated, tech-savvy Barbie in this film. Two thumbs up! Available at Amazon. This DVD for this review was provided by Mom Select. Remember trading sandwiches and snacks at lunchtime in elementary school? I loved seeing (well, tasting) what other kids got in their lunches that I didn't get in mine. Ahhh, nostalgia... Well, Hellmann's has gotten together with chef Bobby Flay and Lori Laughlin to create a really cool Facebook app with the same idea for a great cause! When you visit the Hellmann's® Virtual Sandwich Swap 'n' Share application on Facebook, you'll get to create your own sandwich. For each sandwich that is built and/or shared, Hellmann's® will make a donation to Share Our Strength® until their goal of $75,000 is reached. Share Our Strength® is an organization that is committed to bringing an end to child hunger in America. Disclosure: In exchange for sharing the aforementioned information with L.A. Mama readers, I was entered for a chance to win a gift as part of the Hellmann's® program. When I pick my kids up from school at the end of the day, I can always guarantee that one of the first things out of somebody's mouth (usually my oldest), is going to be, "What's for dinner, mom?" Hopefully by the time the question comes up, I have something planned that is both nutritious (that's my thing) and delicious (because, let's face it- if it isn't they're not going to eat it). One response that always yields cheers from all three of my children is, "Spaghetti!" And as Fall approaches, it's one of my favorite things to make because it's quick and easy to prepare after a long day, but it's still warm, nutritious and so satisfying. I love adding different types of squash and onions to my sauce to get the maximum nutrition out of my meal which is one reason I'm really excited to try Ragú® Old World Style® Traditional Sauce when it hits stores (soon!). We already love Ragu at our house but I love that new Ragú® Old World Style® Traditional Sauce contains two servings of vegetables in every half cup and is will have a new, naturally thicker recipe. "To be one of the first to taste Ragú® with 2 servings of veggies in every half-cup visit them on facebook.com/ragusauce for more details." *Only valid at participating The Coffee Bean & Tea Leaf® store locations in AZ, CA, NV, TX. Excludes all Ralphs stores, military base, casinos, campus or airport locations. 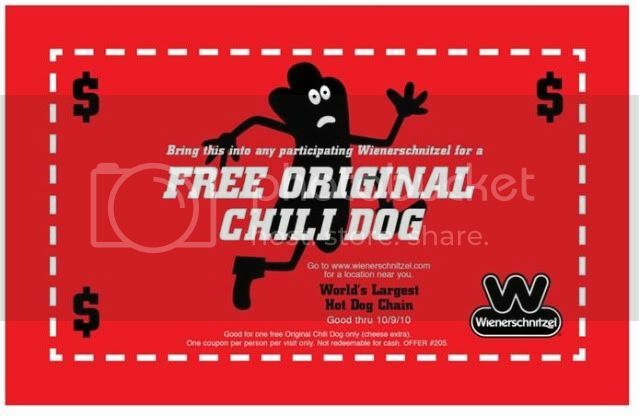 Valid only on September 14, 2010, from 4pm to 7pm. Offer applies to 12oz. Cinnamon French Toast or Classic Pumpkin latte or Ice Blended® drinks. No substitutions. Limit one complimentary drink per customer. Cannot be combined with other offers.